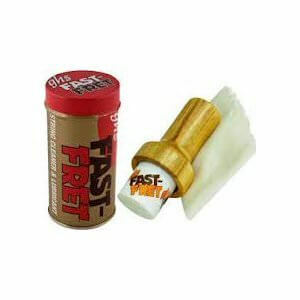 Fast Fret is a great little string cleaner that keeps your strings feeling smooth. It's easy to apply and your fingers glide across the frets, which makes the whole experience of playing that little bit more effortless. I have used it for years and I like the way it freshens up the feel of the strings. Check out GHS Fast Fret and prolong the life of your strings.